Do Mugshots Make You A Criminal? We live in a society that likes to judge people for their mistakes. 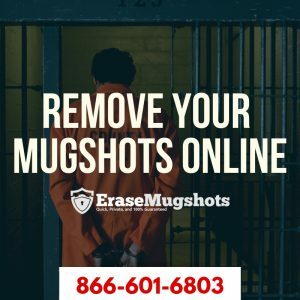 Unfortunately, it is easy to get arrested for minor charges in the US, however, some states are stricter than others, a minor mistake could lead to a mugshot and the same treatment as a common criminal. We’re going to explore some of the key differences between crime across the US and the consequences of that. Driving violations are some of the most common offenses across the country. Arizona is an example of a state that treats drivers extremely harshly. In fact, Arizona has some of the strictest DUI laws in the country, with an 83% surcharge applied to speeding tickets. Take the possession of marijuana as another example. California has completely decriminalized the possession of marijuana. Say you forget to check your car and drive in Arizona, you run the risk of facing criminal charges! These are just two of the differences that we have between states. Does it make someone a criminal when the laws differ 2 miles away? It is a common notion that law enforcement allegedly holds racial bias within certain demographic groups and lower income levels. Read here on how speeding tickets are issued in Florida. Fines increase from going 9 to 10 mph over the speed limit. Many officers will cut you a break to avoid higher fines. However, a study indicated that black drivers are 3.8% less likely and Hispanic drivers are 14.8% less likely to be issued a speeding ticket at the 9mph threshold. Let’s take another example from New York City. Over a third of the city is made up of whites yet only 9% of them were arrested for low-level marijuana possession. Now compare this with Blacks and Hispanics, which make up 86% of arrests, even though they make up less than half of New York City. And studies have shown no difference between how much the different races smoke pot. There’s a serious disparity and it demonstrates how society judges based on stereotypes, particularly in the police force. We all need to be aware of these perceptions if we’re going to change the way the justice system works in the US.